The Chromebook is considered one of the safest computer platforms when it comes to getting viruses and malware. However, is your Chromebook really safe from viruses and malware? There are threats out there that you need to be aware of. So to make sure you keep your Chromebook safe we’ll take a look at the current threats, but first, we’ll take a look at why a Chromebook is considered one of the safest computers to use. One of the main advantages you have with a Chromebook is that you cannot install programs. For a virus to work it needs to install a program, so this feature alone makes your Chromebook safer than any other computer. This has however changed with the recent introduction of Android Apps. This will be discussed another time. There are other security measures built into your Chromebook to help keep you safe. When you open a browser it is locked down, which means anything that happens inside that browser cannot be transferred to another open browser or application you may have open. This is known as sandboxing. So if you were unfortunate enough to come across a website that was unsafe, it would not be able to access any of the other browsers you have open. This would essentially contain the threat inside that particular browser window. When you turn on your Chromebook it verifies the operating system. It checks to make sure the Operating system has not been tampered with. This means, in the unlikely event your Chromebook was hacked when previously used, any changes the hack made would be removed when you next boot up your Chromebook. Because Chrome OS is a lightweight operating system this is done almost instantly. It simply removes any of the changes and ensures the operating system continues as normal. Chrome OS has updates every six weeks to deal with any known threats that have been discovered on the internet. Updating an operating system in such a short amount of time keeps you secure. Thankfully, Chrome OS is a lightweight operating system, so it’s much easier to upgrade the operating system to deal with any new threats. If you’re using your Chromebook correctly then you should be saving your data in the cloud. Any data you save in the cloud is encrypted, so it’s safe from any potential threats. However, if you do save your data locally in the downloads folder, this is also encrypted, so your data cannot be accessed easily. Although the Chromebook is one of the safest computers. It does not mean it’s totally immune from the current threats out there. These are the current threats and what you can do if you come across a problem with your Chromebook. Unfortunately, there are websites out there that are unsafe. Browser hijacking is when you visit a website that takes over your browser. When this happens you’re normally informed that your computer has a virus. 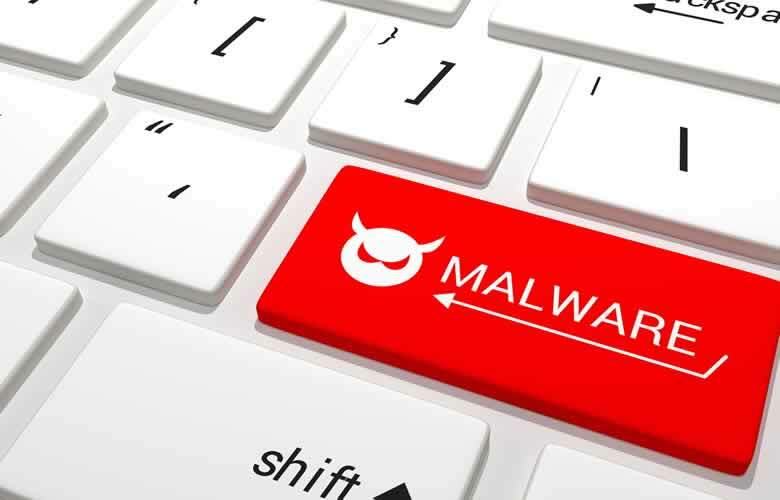 It can then take you to another link, which contains even more malicious software. Or it may state it can fix your viruses, but you need to pay for the virus protection software for this to happen. This is always a scam and you should ignore it. This is not always the case. Sometimes, the ransomware is very direct on the intent. It simply states your computer is locked and if you do not pay a ransom your data will be wiped. The ransomware is now in control of your browser and they want you to believe you cannot get back control until you pay the demand. However, it’s important to remember that Chromebooks have ‘sandboxing’. This means the particular threat is contained within that one particular browser, so they do not have control of your data. They only have control of that browser window. If you ever come across this problem you should simply reset your Chromebook. Do this by holding down the power button until your Chromebook is turned off. When you turn your Chromebook back on, the browser should no longer be showing on your Chromebook. However, because you reset your Chromebook while the browser was open. Your Chromebook may recognise that it was shut down while you were browsing a website. It may take this as the computer crashing and will ask if you want to reinstate your last session. Always ensure you say no to this. If you say yes the browser will reopen and you will be redirected straight back to the bogus website. This is something you need to be careful with. When you install extensions on your Chrome browser you need to ensure it’s from a trusted source. It can be difficult to pinpoint a problem when it comes to extensions because it’s not always the case that the extension is intentionally trying to harm your Chromebook. I personally remember a time when using eBay on a Chromebook was a lot different to using it on a standard computer. To fix the problem I found an extension. The extension fixed the problem I had and I happily continued to use eBay to sell some unwanted clutter. I then started to experience problems when using Google Docs. whenever I started typing it would stop and it would just state it was trying to sync. This was causing me huge headaches and I was convinced there was an issue with Google Docs. I even contacted Google about it at the time. The response was that they could not see any reason why Google Docs was behaving in that way. I decided to check out the extensions I had on my Chrome browser. I removed them one by one to see if it fixed the problem. It was only when I removed the extension to help me list on eBay that the problem was resolved. This was not an extension deliberately trying to cause harm. It was just coded in such a way that it interfered with Google Docs. 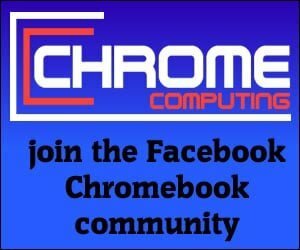 So if you do come across an issue on your Chromebook. Always check the extensions you have set on your browser. You also need to be aware that some extensions could be malicious, so always check extensions are safe before installing them. It’s important to remember that your extensions in your Chrome Browser sync with all of your devices. So if you use the Chrome browser with an Apple Mac, Microsoft Windows or any other device you’ll need to ensure you deal with any unwanted extensions correctly. The best way to do this is to turn off syncing for your Chrome extensions. Once you’ve fixed the problem and removed the unwanted extension. You can switch the syncing back on if you prefer to sync your extensions between your devices. If you do not do this you’ll never be able to remove the unwanted extension. Even if you powerwash your Chromebook. As soon as you register it with your email address, it will sync your extensions and the problem will continue. Once you’ve done this you’ll be able to go through the list of extensions you have installed on your Chromebook browser. If you don’t know which extension is causing the issue, go through them one by one. It's important to ensure you are aware of the extensions you install on your browser. Do not install an extension unless you're sure it's safe to use. It’s simply impossible to stay 100% safe when connected to the internet. However, the Chromebook is definitely the safest computer you can use for internet browsing. This is helped by sandboxing and the verified boot, which was discussed earlier. The only real threat you have with a Chromebook is through extensions. Again, sometimes this may not be an actual malicious extension. Some plugins, if coded badly may interfere with other applications that you use. To protect yourself from extensions that have been deliberately written to cause harm. You should make sure the extension is safe before installing it onto your Chrome browser. The best way to do this is to only install extensions from sites that you trust. If you’re installing an extension from the Chrome Web Store then you should be ok. However, it’s still wise to read some of the latest comments to see if anyone has had a bad experience when using the extension. The Chromebook remains one of the safest computers to use. As long as you get into the habit of checking your extensions before installing them. Then you should be absolutely fine.